"A dying planet. A fight for life." This movie continues the saga of Admiral Kirk and his crew as they deal with an unstable planet and an adversary who longs to destroy the Enterprise. Admiral Kirk, while dealing with his best friend's loss, learns that his long lost son David Marcus is heading back to the Genesis planet to investigate the effects of the Genesis wave. He worries about him and their new relationship. He knows that it was David along with Carol Marcus who created the Genesis wave to bring new life to dead planets. He remembers Spock's sacrifice and his decision to launch his casket over the new planet. Kirk has a choice to make when he learns that Spock's spirit has been encapsulated in McCoy's mind. He could buck Starfleet, steal his own ship back and ask his loyal crew to come with him to retrieve Spock or he could follow orders, contact his son who has been assigned to investigate the Genesis wave and wait back to hear from him. Everyone, he realizes, will have to make the choices as well to go with him or stay. They all know the risks involved, but Kirk knows that they all care about Spock and McCoy. 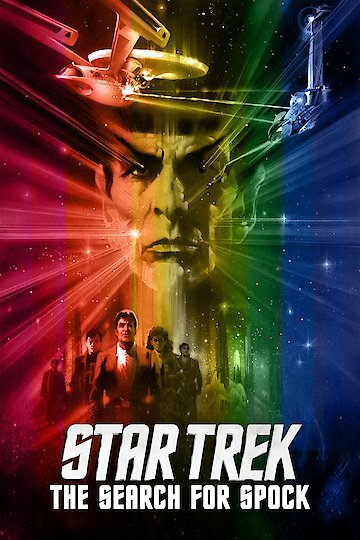 Star Trek III: The Search for Spock is currently available to watch and stream, buy on demand at Amazon, Google Play, FandangoNow, iTunes, YouTube VOD online.